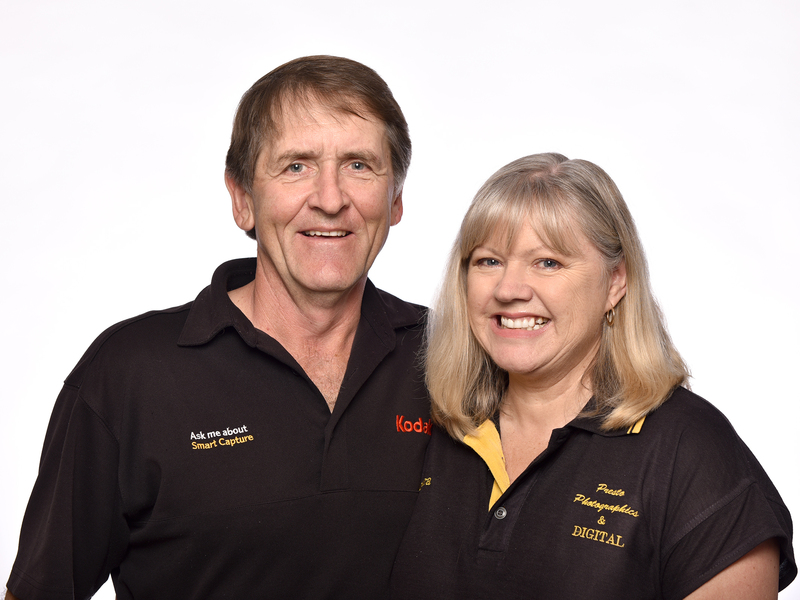 Hi - we're Barbara & Don Shawyer, proud owners and operators of Presto Photographics since July 1992. Since entering this industry we have experienced many of the highs and lows most small business operators go through - and then some. The photo-finishing industry has endured more upheaval during the last 20 years than most businesses do in a lifetime. The advent of digital photography, the Internet, online operators and camera phones has seen many businesses similar to ours close or get swallowed by the large national operators. In order to survive we have diversified, added new services and products, gained new skills, and relocated out of Ashmore City Shopping Centre to our current location 200 metres away in Currumburra Road. Despite all this, we are still here - and determined to stick around to provide our loyal customers (plus the many new ones) with the quality products and friendly service we have provided over the years. We guarantee affordable, high quality results for all your photographic needs - wedding photography, location and portrait studio photography, product, corporate and website photography, canvas prints, deluxe photobooks, photo restoration and reproduction, passport and ID photos, as well as digital printing - plus we also still print photos from 135mm and APS films and negatives. We also specialise in cost effective photo packages for sporting clubs. So, if you are tired of being ignored or told "we can't help you" and are looking for personalised friendly service - come and see us at Presto - you won't be disappointed. 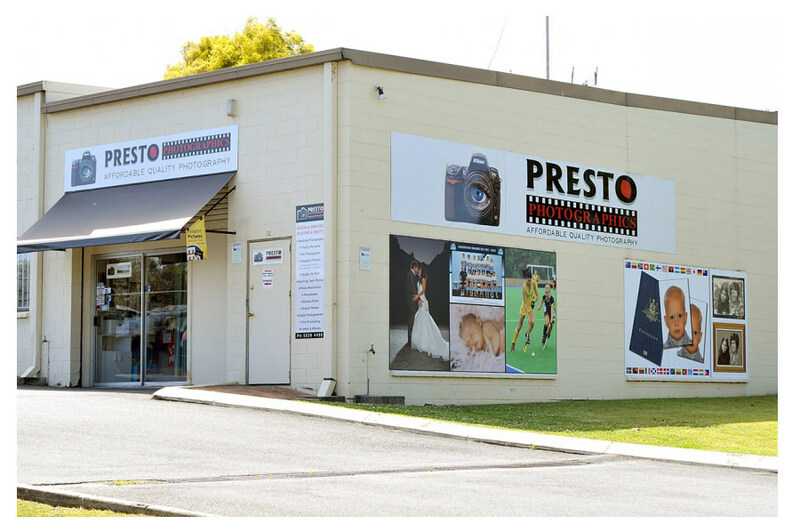 Our private studio is located in our premises at 185 Currumburra Road, just south of Ashmore City Shopping Centre, where we also feature a large range of frames, albums or deluxe photobooks for the storage and display of your favourite images. We design, manufacture and assemble all of our premium products onsite, so you are assured your photo package, canvas prints or deluxe photobook will turn out just as you ordered, within the shortest possible timeframe, and all at a surprisingly low price. Contact us to book your wedding photography, studio sitting, or drop in and discuss your photographic requirements with us in person. Please contact us via our enquiry form below or our contact details to the right - we value your interest and will respond as soon as possible.